Third Generation F-Body Message Boards > Classified Boards > Miscellaneous Third Gen Items! PONTIAC RACING JACKET-SIZE XL-SWINGSTER BRAND-EXCELLENT CONDITION-TRI/COLOR=VHTF! Miscellaneous Third Gen Items! Brochures, models, prom burning stuff....post that here. This is a Classifieds board, NOT a Miscellaneous discussion board. All non-Classified postings will be removed on sight and without notice. This is from my personal collection and was kept in a non-smoking home. NO rips/ tears or marks of ANY kind. 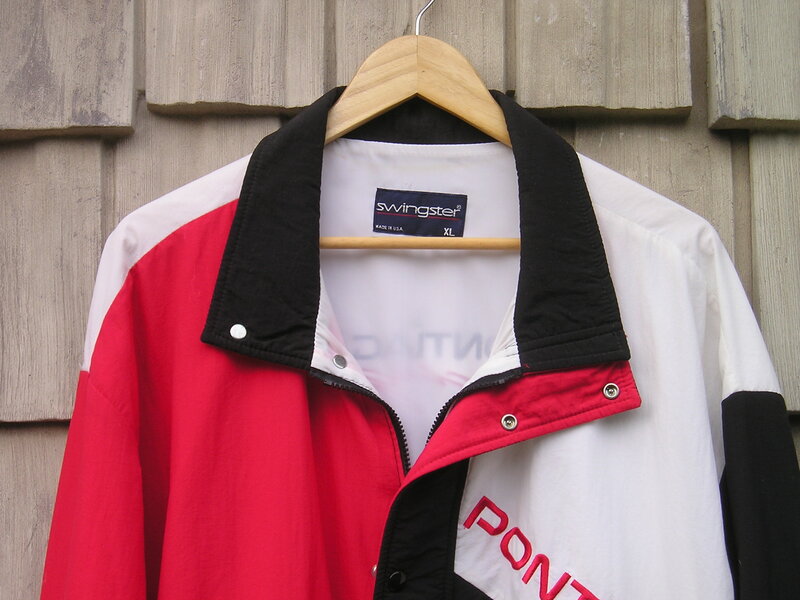 The three colors are WHITE/ BLACK AND BRIGHT RED, with pure WHITE lining. 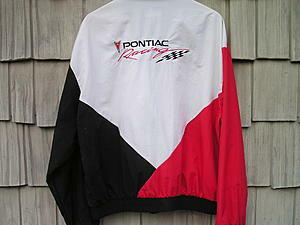 The embroidered word PONTIAC on the front and the words PONTIAC RACING & RACING FLAG are perfect. The lining is great for the upcoming FALL & SPRING weather, as it is a lightweight fabric. 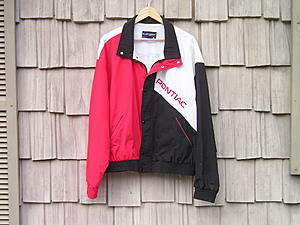 Priced at $45.00 plus shipping (which I will contact the buyer on the cost when I have the exact address). The SWINGSTER brand is top of the line for PONTIAC Jackets and is very RARE to find anything left on the market! Re: PONTIAC RACING JACKET-SIZE XL-SWINGSTER BRAND-EXCELLENT CONDITION-TRI/COLOR=VHTF! BUMPER- Reduced to $39.00 + Shipping. Last edited by edpontiac91; 11-02-2018 at 06:39 PM. 1988 PONTIAC CONCEPT BANSHEE PRESS KIT/ VHTF! 82-92 Pontiac Firebird Gauge Bezel $40 - EXCELLENT CONDITION! [CA] 1989 Pontiac Firebird Bezel $40 shipped - EXCELLENT CONDITION! 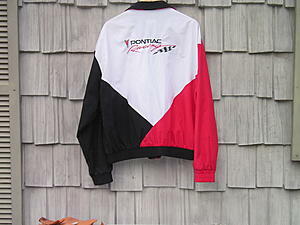 Quick Reply: PONTIAC RACING JACKET-SIZE XL-SWINGSTER BRAND-EXCELLENT CONDITION-TRI/COLOR=VHTF!